Do you know what people of today fear the most? 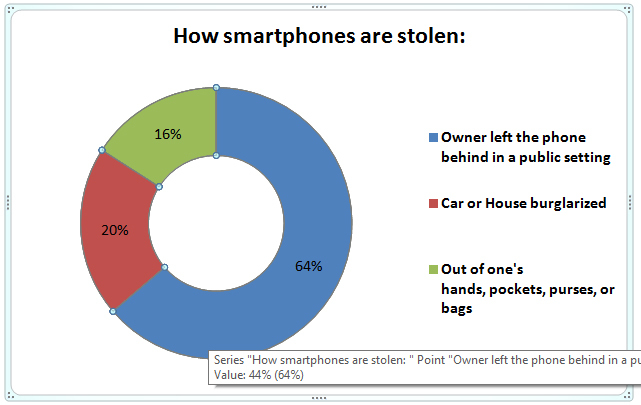 It is the fact that 1 in 10 Smartphone owners are victims of phone theft. Yes, you might easily become the prey of phone theft too. This is why you need to be careful in handling your precious Smart phones without losing them. But it is nearly impossible to be conscious all the time isn’t it? Here are some shocking facts that you need to know to understand how serious the issue you’re facing is. How awesome will it be if there is a magic force that safeguards your phone anywhere and everywhere from falling into wrong hands? Quadruple India’s brand new Android app Q Anti Theft Alarm Pro is a specially designed exclusive application that compiles every high security feature ever introduced in the android market to be included in a single app. Installing this not only ensures complete safety to your phone, but also to locate your phone in case it is stolen or misplaced. The app includes operation in different modes to be identified as home, office and travel so that you could know instantly get an idea where you misplaced the phone. Instant SMS alerts are sent to your emergency contacts containing useful information such as your device’s IMEI no, last seen location of your phone as Google map link and many more. There SMS alerts are sent at different situations, for instance, if your phone is switched off or your SIM is changed, SMS alert will be sent to notify but this time from the changed burglar’s SIM. Amazing isn’t it? Do try the app. It charges only one dollar from its happy users to enjoy the tons of benefits provided.